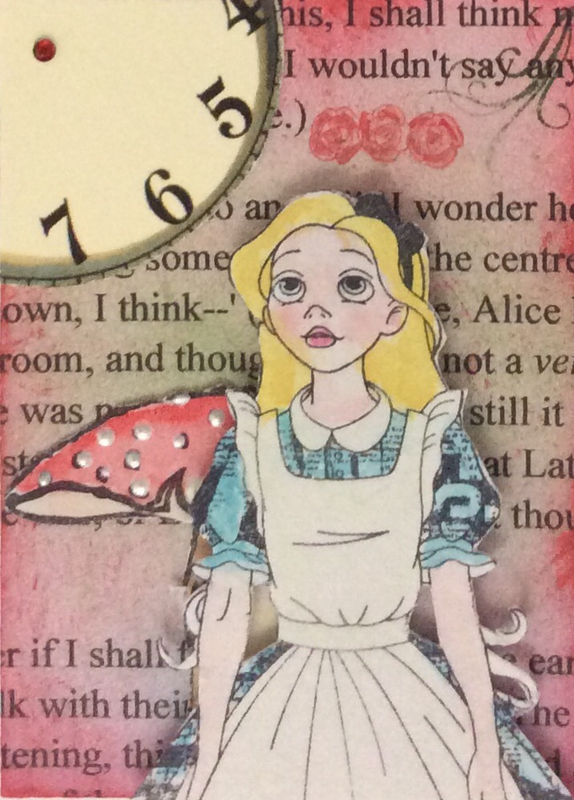 To celebrate I am sharing some of my Alice creations over the last few years. 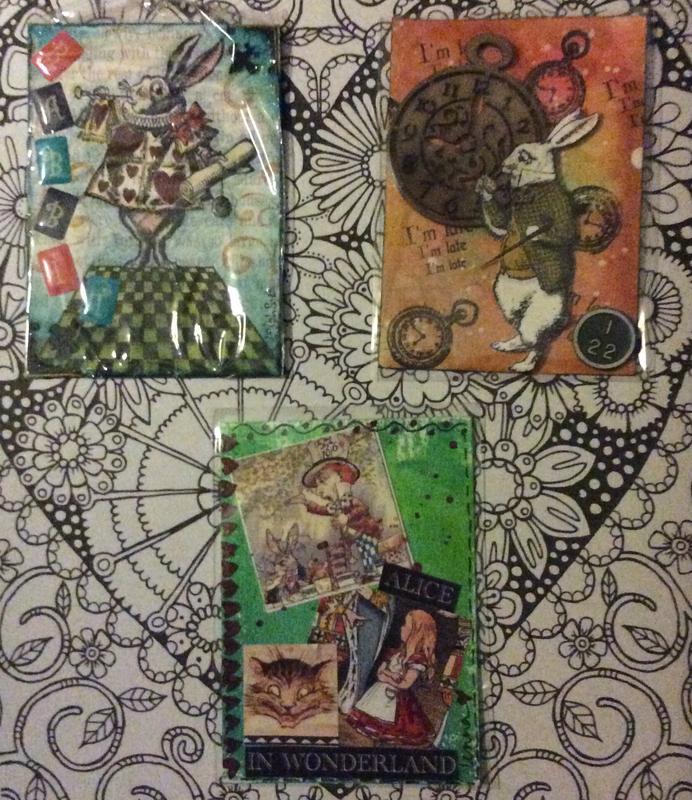 These are my three Alice in Wonderland ATC's for the All Things Alice blog swap, being run by Marion. 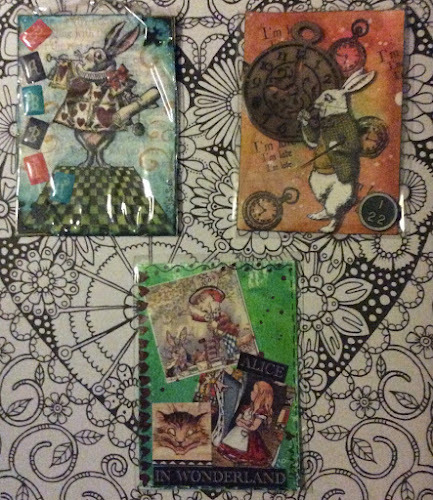 I hope all the Alice fans will like them ! I printed out a page of text from the story which I found here and lightly coloured it over with several different colours of inks. 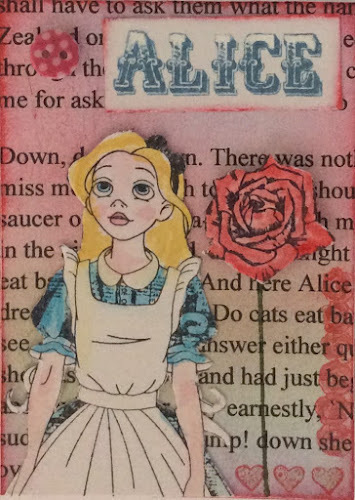 This became my background for the ATC. I decided to use the new Alice stamps by Carabelle Studios, which I love! 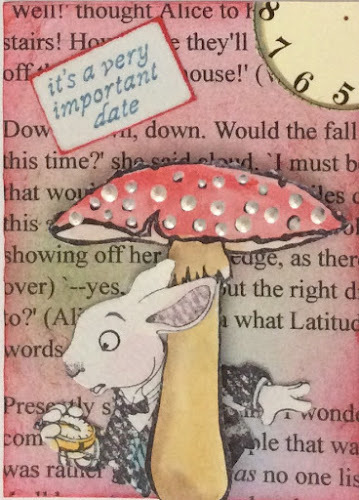 Water colouring is my favourite way to add colour to stamped images. I much prefer it to pens or pencils. I added some white pearl spots to the toadstool, and stamped some more images onto the background.